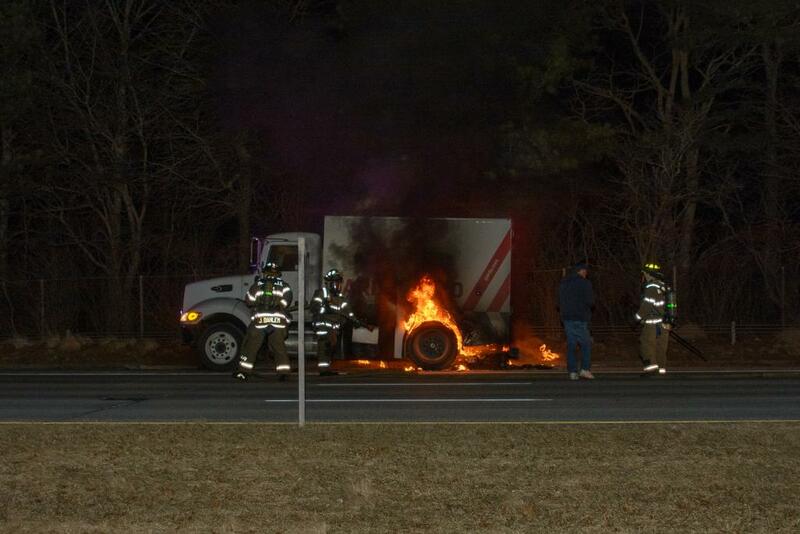 n armored truck with a burning mattress wedged in its chassis almost caught fire as it ferried about $2 million on the Long Island Expressway on Thursday night in Manorville, Suffolk police said. 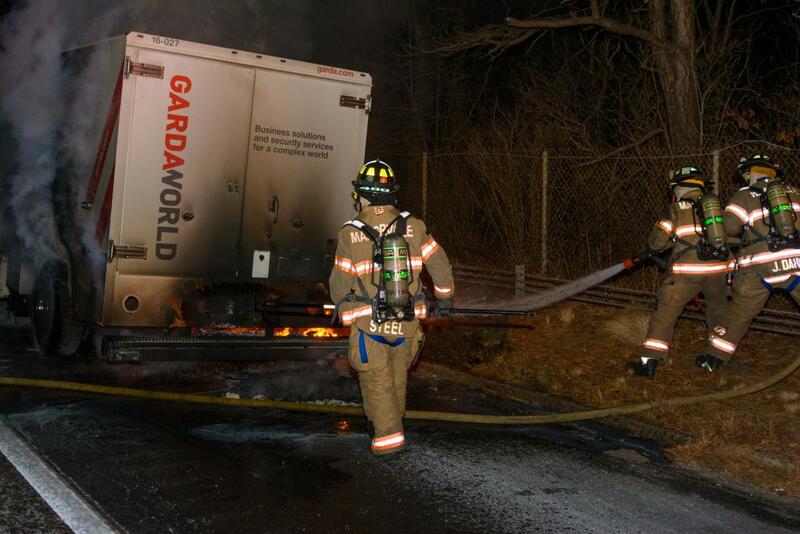 The driver of a GardaWorld truck did not see the mattress on the roadway until the last second as he headed west on the LIE, not far from Exit 69, said highway Sgt. Pete Scheuerer, one of the officers responding to the scene. The GardaWorld crew was headed back to their base in Long Island City when a mattress appeared in front of them, police said. "He thought he just ran it over, but when he ran it over, it got wedged up in the axle," the sergeant said. "He was probably driving for like a mile or two. The friction of the mattress rubbing against the ground probably caught a spark and caught on fire. . . . This a big heavy-duty truck, reinforced steel, so they probably never even heard or felt anything." 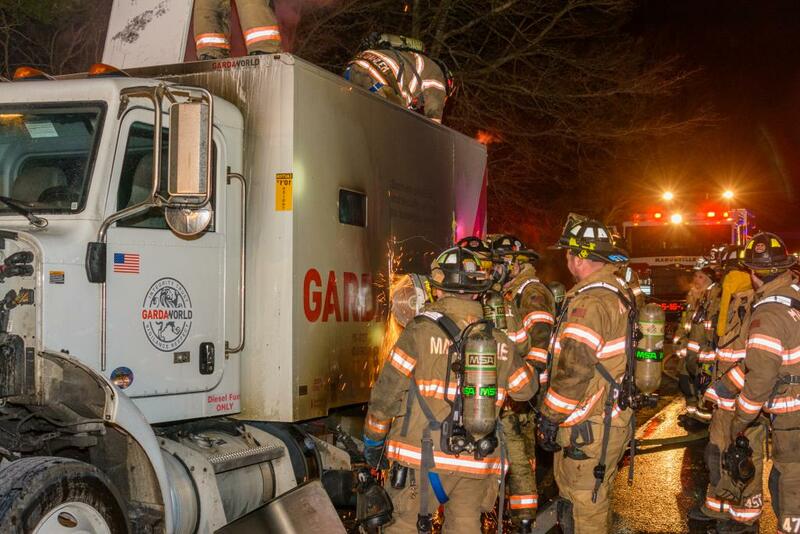 Inside the truck, the three employees started noticing smoke gushing from their vehicle about 8:30 p.m., and when they pulled onto the shoulder, they noticed flames on the underside of the truck, authorities said. "The three employees looked pretty shook up," Scheuerer said. 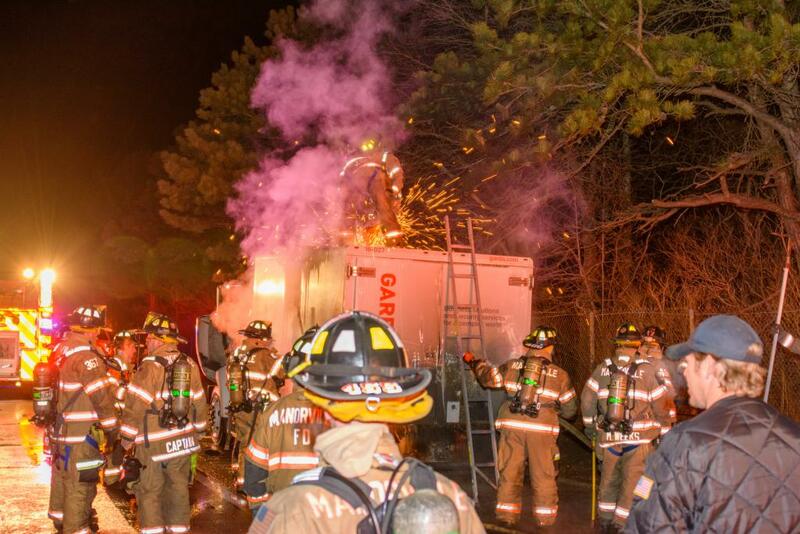 The employees hustled out of the truck in case the vehicle exploded but stood guard as Manorville firefighters put out the flames in about five minutes, said First Assistant Chief Phil Zackman Jr. Firefighters tried to make sure there was no fire inside the truck, but the key didn't work on the back door, which was a little warped from the heat, Zackman said. They tried to cut off the hinges with an electric saw, but that failed too, he said. When they cut a hole in the truck's roof, a thick plume of smoke escaped from the inside, he said. Finally, the key worked on a side door, and a GardaWorld employee crawled inside to check on the contents, authorities said. Photos Provided by "Long Island Hot Shots"